15x9 & 15x8 6UL for Exocet - Miata Turbo Forum - Boost cars, acquire cats. 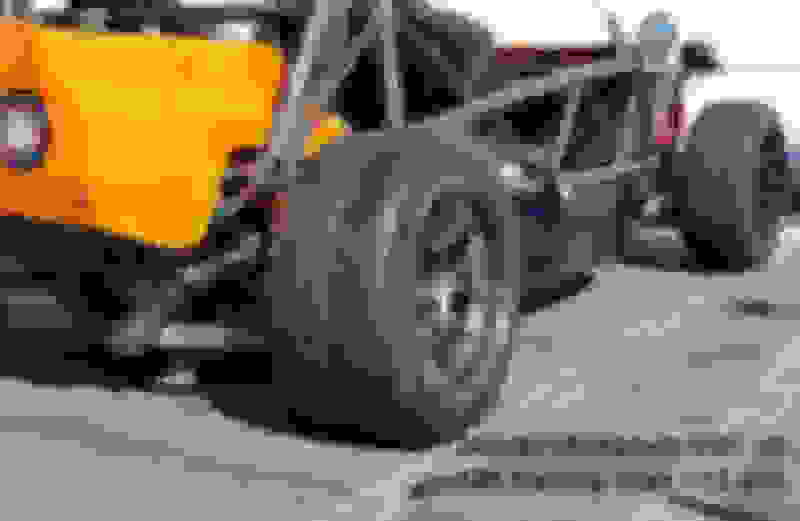 We are putting the 15x9 +12 6UL into production for the Exocet. Hoping to have 15x9 +12's here by Q4/17. 15x8 +23 probably Q1/18. Not taking pre orders just yet. Keep an eye on the website or email us to get on our mailing list. The 15x8 will be a +23, same inner clearance as the 15x9 in the video. The 15x9 +12 6UL Exocet fitment is based on our 15x10 tool so it's concave. 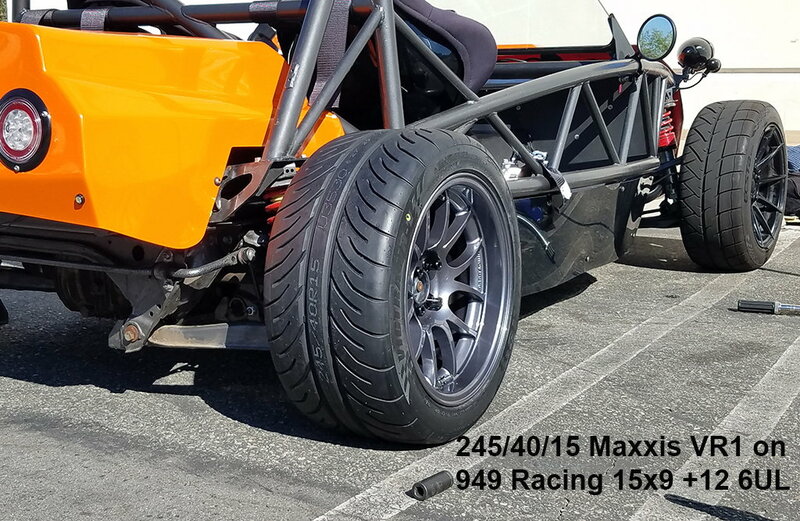 The 15x8 +23 6UL Exocet fitment is based on our 15x9 so it will have a deeper lip than our current 15x8 +36. We think both of these Exocet fitments will be popular with the stanced Miata crowd. Last edited by emilio700; 07-03-2017 at 06:01 PM. That guy's entire argument against our offset choice was based on him running 275 Hoosiers on 15x9 +0. That we only claimed they fit 245/40's was lost on him. Well done Emilio! I like the idea of a 9" wheel (for rain or 225 practice tires) in a +12 with my autokonexion widebody kit and 11.75 stoptechs. Will these be available in silver? ..Will these be available in silver? Silver was discontinued about a year and a half ago. Beryllium only for the Exocet wheels unless FM wants to splurge on a bunch of Tungsten (which cost a few bucks more). do you even stretch, tires are suspension. Don't make me tag him. I'm not out on a witch hunt. People can run them and draw their own conclusions. They pay to advertise here so that's their prerogative and I'm not going to raise a ruckus. Many of us run them. It's rad. Looks super cool. Unexpected car these low offset 15x9s could fit on?! I don't know if these are 7/7.5/8s on this red E30. I do know that E30s can definitely benefit from a light-weight 15x9 that will clear the strut. We have had a few mentions of E30 fitment. My albeit limited experiences is that 15x8's with enough spacer to clear the struts are close to fenders. 15x9's with a 225/50/15 (correct OD) would almost certainly hit fenders. The +12 would just provide strut clearance w/o spacers. I'd be delighted to be proven wrong and seem some E30's with the 15x9 +12 with just a roll. 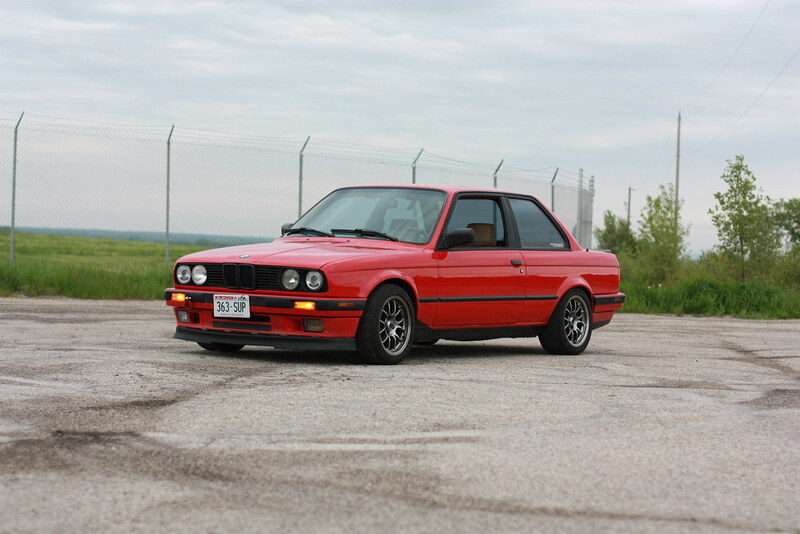 As mentioned, E30 OD is 1" more than Miata, so you end up looking goofy. That's why so many have gone to 17s, better tire selection and more strut clearance. Last edited by Lurch; 07-13-2017 at 05:45 PM. My friends told me about this thread, so I had to dig out my old account and get on here and come comment. I have been waiting on small- or no-spacer, lightweight 9s to come along for the e30 chassis for YEARS. My 15x8 +20 Konigs are suuuper close to the strut tube. I'm thinking it might take a 5mm ish spacer up front, based purely on math and not knowing how different the inner lips of the wheels are. My fenders are not rolled, I'm on basically the Spece30 suspension setup, and I haven't ever rubbed with my 8s with 205 RC1s, 205 RE71Rs, 225 Rival S, or 225 RS3s. All Miata OD, because anyone serious about going fast on 15s is running Miata tires anyway. I'm 99% positive the rears will fit with no issue. How soon can I get a set to test-fit!? What is your return policy like? Should I buy a single one first? Discounts for being the guinea pig? Start a new thread on r3vlimited and send me the link [email protected]. Same title as above but swap "E30" for "Exocet"
I haven't run 6ULs since you ruined the bronze color. Emilio, you monster. Anyone done this to test/show bumpstop compression? We basically drive it hard enough to bottom during max G cornering to make sure we were using full bump travel, max tire distortion. That's the whole point. Doesn't look like it touches the bumpstop on full cornering unless it hits a bump. Are the Xidas on the miata the same way?